There are times when the folly of youth is an asset, when the innocence of sporting immaturity can be a Godsend. Munster rugby fans know that much. 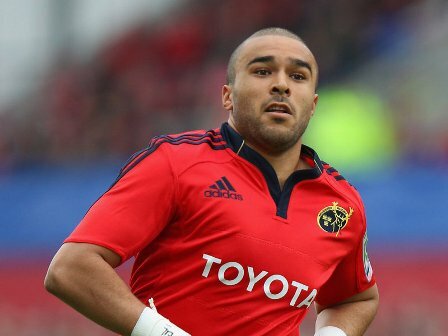 Their winger Simon Zebo is only a kid in real sporting terms, but he is a kid going places and taking his team with him. We saw that again on Sunday when the Corkonian destroyed Racing Metro almost on his own with a man of the match performance in the Heineken Cup that was a joy to watch from afar, more so in high definition. Zebo has the speed and the mental pace so necessary to succeed at the highest level of Northern Hemisphere rugby. He has a brain and an eye for the smallest of openings in the crowded world of competitive rugby at the top of his chosen game. And he has that innocence of youth that means he is prepared to boldly go where no seasoned campaigner would even think of going. Sometimes that can be the difference a team needs to really make its mark. We saw that also on Sunday, more than once against the French outfit in a game Munster just had to win and win well to stay alive in the European Cup and deny the champions Leinster one of the two “best runner-up spots” available in the quarterfinals. Not alone did he score three tries and celebrate with the Red Army hordes behind either goal, Zebo also sent a spark around Thomond Park every time he threatened to get on the ball that seemed to be his by right. His Munster coach Rob Penney knows he has a gem on his hands. So does Ireland boss Declan Kidney, who may well throw Zebo into the mix and leave the Welsh to worry about him when our Six Nations season opens in Cardiff on Saturday week. I doubt, however, that Giovanni Trapattoni knows too much about Simon Zebo. The Italians aren’t big rugby fans and soccer, as we well know, is Trap’s second favorite religion. It’s unlikely that Trapattoni switched off his DVD player long enough on Sunday afternoon to watch Zebo and Munster beat Racing Metro many miles away in Limerick. The Irish football team boss had other things on his mind less than 24 hours before he too turned to youth in his hour of need and named a much changed squad for the February friendly with Poland in Dublin. So where Zebo offers a real alternative for Declan Kidney on the rugby field, the likes of Robbie Brady, Jeff Hendrick and Anthony Pilkington will provide that something different to their soccer coach in the Aviva Stadium friendly on Wednesday, January 30. And we could do with something really different on the soccer stage seeing as how the Poland game is the calm before the World Cup storm to come in March. Ireland will play Sweden away and Austria at home a month after that Polish fixture, two games that will decide how long Trap stays with us despite his recent vote of confidence from the FAI. After the 6-1 humiliation at home to Germany there are many in the here and now of Irish football who would gladly say Auf Wiedersen to Trapattoni. The FAI have decided differently but, as one very senior official said to me the other day, all will change if results go askew again against the Swedes and the Austrians. That’s why Trap needs to find a Zebo of his own and quick before the visit to Stockholm. At least, for once, he is looking. Now I would have Shay Given back in the Ireland squad tomorrow simply because I have no faith in Keiren Westwood as a goalkeeper, clearly something I share with the Sunderland manager Martin O’Neill who refuses to play him at club level. And I can understand why Trap is leaving Robbie Keane out of the Poland game because there is nothing more he needs to know or can discover about Robbie at international level. So it’s good to see that the likes of Pilkington and Hendrick will get some sort of a game against the Poles, but it’s more important that somebody makes a really big impression in that game. As we saw at the disastrous Euros last summer, Trap is a man who likes to stick with the tried and trusted. Even when all was lost he stuck by his established players for the final group game in Poland, against his native Italy as it happened. As a result Darron Gibson hasn’t kicked a ball for Ireland since then, such was his upset at failing to get a game in the Euros. At the very least now, Trapattoni must give Pilkington and Hendrick, James McClean and Robbie Brady some sort of a decent run-out against Poland. Who knows, one of them might just do a Simon Zebo on it and persuade our elderly Italian that it is worth taking a chance on youth. If they can do as well for the Irish soccer team as Zebo did for Munster last Sunday, we might just frighten the Swedes and get the World Cup dream back in gear come March and the visit to Stockholm. Surely it is worth a punt. INTERESTING goings on as Dublin hammered Louth in the O’Byrne Cup football tournament in Drogheda on Sunday. The Dublin players were fitted with GPS devises to track their mileage during the game, and it will be fascinating to see what sort of distances they cover in inter-county football. They’re not the first GAA team to use such technology, but hopefully their new manager Jim Gavin will release some stats in the near future and let us know just what sort of ground the likes of Bernard Brogan covers in a big game. GOLF: I’ve taken a shine to a set of Callaway clubs on sale with my local professional Brendan McGovern at Headfort in Kells, but he assures me they are not the right club for me and won’t sell them to me. Having watched Rory McIlroy struggle with his new Nike irons in Abu Dhabi last weekend and miss the cut in his first outing with them, I am now taking Brendan’s advice seriously. That said, there are some very nice new TaylorMade irons just crying out to me in his shop! RUGBY: We won’t see Brian O’Driscoll as captain of the Irish rugby team again after Declan Kidney handed the armband to Jamie Heaslip on a permanent basis the other day so we had better prepare for the day, coming soon, when we can no longer take it for granted that Dricco will be on the Irish team. All of which proves that the Leinster talisman is human after all. SOCCER: The former Ireland defender Alan Kernaghan is alive and well and assistant manager to Uwe Rossler at Brentford these days. You might see him on the telly this weekend when the Bees take on Chelsea in a big FA Cup match. He hasn’t changed much from his World Cup days with Ireland in 1994 so you’ll know him when you see him. SOCCER: Fascinating story from England, where the West Brom manager Steve Clarke has revealed that his Irish defender Steven Reid broke a fibula bone against Arsenal last month and played on for 45 minutes with a broken leg. Reid has always been committed to the cause, but that must be stretching it. HURLING: It’s a great pity that the Waterford star John Mullane has announced his retirement from inter-county hurling. The game will be all the poorer for his loss. MUNSTER have a habit of pulling big games out of the fire in the Heineken Cup, and they did it again when they hammered Racing Metro to book their quarterfinal spot in the Heineken Cup on Sunday thanks to a hat-trick of tries from man of the match hero Simon Zebo. That their result also knocked champions Leinster out of the tournament must have been sweet for the Red Army. GARY Hooper has reportedly turned down a new contract offer from Celtic and set his sights on a big money move to the Premier League. If he thinks he is good enough to get regular football with an English team playing in the Champions League then he is clearly over-rating his own ability. Hooper is a big fish in the small pond that is Scottish football but only because Celtic took a punt on him when none of the big clubs in England wanted to know. He should remember that now that the PL clubs are sniffing around.